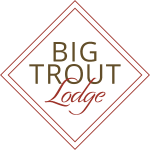 Our supreme location in the heart of Liberty Lake, WA, tops the list of advantages at Big Trout Lodge. Our apartment community enjoys access to some of the best schools in the Central Valley School District, including Liberty Lake Elementary. We’re convenient, too, to higher education at Spokane Community College, Washington State University, and North Idaho College. Our city is alive year-round with community happenings, from summer outdoor festivals to winter sledding at Trailhead Golf Course. There’s something for everyone at Big Trout Lodge – you have a front row seat to the fun. A mark of a good community is its food, and Liberty Lake stands out deliciously for Northwest cuisine inspired by every corner of the globe. Sample a spicy dish at Palenque Mexican Restaurant, or savor the rich broth at Pho Liberty. Local produce elevates the American fare at Barlow’s Restaurant, and at CorkHouse. Grab a gluten-free treat and an espresso at The Well, or get some frozen yogurt at Just Chillin’ Eats & Sweets. With both the Liberty Lake Farmers Market and Safeway within walking distance from home, a great meal is always at your fingertips at Big Trout Lodge. Scroll through our photos to admire our beautiful apartment community near downtown Liberty Lake. Schedule a private tour, and let us introduce you to the neighborhood.